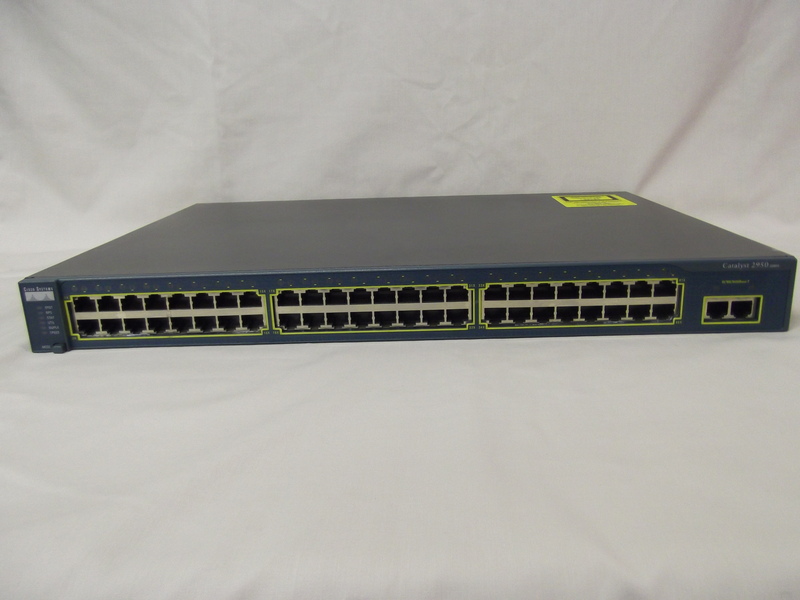 Cisco Catalyst® 2950T-48 is a member of the Catalyst 2950 Series Intelligent Ethernet Switches, and is a fixed-configuration, standalone switch that provides wire-speed Fast Ethernet and Gigabit Ethernet connectivity for midsized networks and the metro access edge. The Catalyst 2950 Series is an affordable product line that brings intelligent services, such as enhanced security, high availability and advanced quality of service (QoS), to the network edge-while maintaining the simplicity of traditional LAN switching. When a Catalyst 2950 Switch is combined with a Catalyst 3550 Series Switch, the solution can enable IP routing from the edge to the core of the network.Available for the Catalyst 2950 Series, the Cisco Network Assistant is a free centralized management application that simplifies the administration task of Cisco switches, routers, and wireless access point. Cisco Network Assistant offers user-friendly GUI interface to easily configure, troubleshoot, and enable and monitor the network.